Cafe Copan is a mild yet full bodied High Grown (HG) coffee from the highlands of western Honduras. The warm days and cool nights of western Honduras, combined with fertile soil and fresh mountain air, make a splendid place to grow coffee. Honduras’s coffee farmers have had decades of experience in which to perfect their art, and when they bring their best to us to roast in small batches, the result is truly extraordinary. 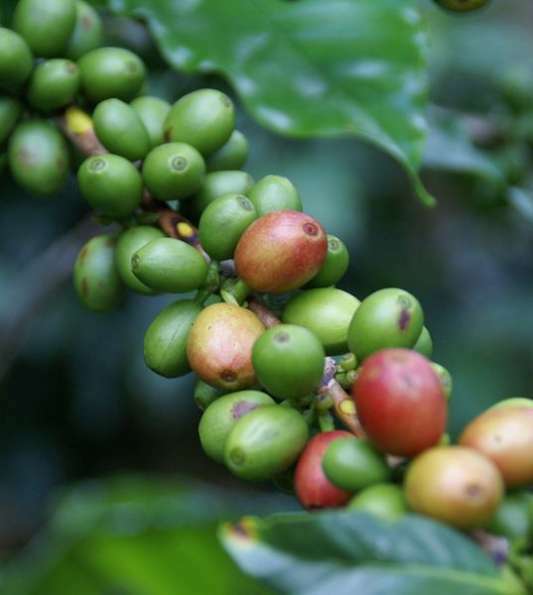 No doubt you have heard much made of High Grown (HG) coffee, but do you know why it is better? Just as a fine wine needs time to age, a coffee bean needs a long, slow growing season in which to develop all the subtleties and nuances of flavor of which it is capable. As small family farms are taken over by large agribusiness, there is a tendency world wide to grow coffee at lower, warmer altitudes so as to force the bean to mature faster and maximize yield… but at the expense of flavor. Cafe Copan is 100% High Grown coffee, made only from beans grown the traditional way at an altitude of at least 900 meters (3,000 feet). At such altitudes, the air is cooler during the day and often cold at night. The beans thus enjoy a long, slow maturation that gives Cafe Copan a full body and aroma that mass produced coffee cannot match. We produce organic coffee beans free of chemical fertilizers, pesticides, or herbicides. Another tradition being left by the wayside is that of growing coffee under shade. The shade provided by natural high mountain forest is perfect for moderating the coffee bean’s maturation by lowering temperatures and sunlight levels. Mass producers are cutting down the tropical forests and planting varieties of coffee that tolerate full sun, again to achieve faster maturation and lower production costs. We at Beneficio Maya know that cheap fast growing coffee isn’t necessarily better, and for that reason we purchase and encourage shade grown coffee. We can taste the difference, and we think you can, too. Not only the grower is important in producing fine coffee. The coffee picker at harvest time is important, too. 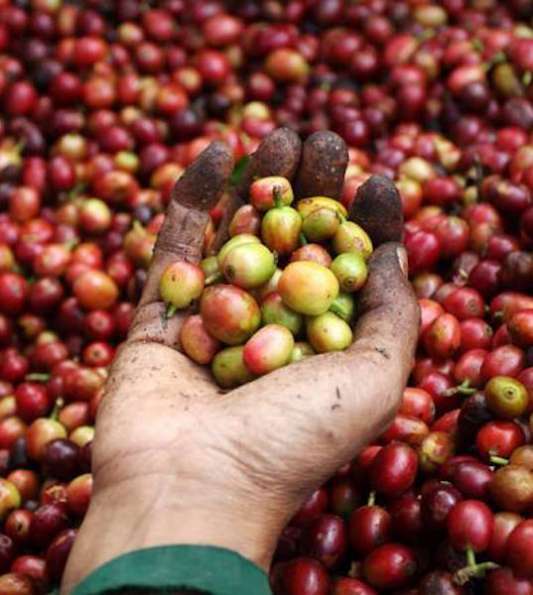 Coffee cherries do not all mature at the same time, and a typical plant at harvest time will have both red (ripe) and green (unripe) cherries on the same branch. It is thus necessary for pickers to be selective in what they harvest, and to return time and again to the the same plant to see if last week’s unripe cherries are ready to be picked yet. A wise coffee farmer will pay for at least three separate harvests of his crop in this way. It takes longer and costs more to harvest this way, but the result is worth tasting. If there is a lesson to be learned from the above, it is that the quality of a coffee depends in large part upon the people who grow and pick it. For that reason we at Beneficio Maya have been respecting and assisting small producers and their families since opening our doors twenty years ago. Being here in the heart of Honduras’s coffee producing region, we see first hand that coffee must be produced in an economically, environmentally, and socially sustainable manner if we are to continue to provide you with the finest coffee possible. Because we deal directly and personally with every supplier, however small, we are in a unique position to identify the needs of local producers and their communities, and to assist them. In keeping with our family oriented philosophy, the bulk of our assistance is oriented towards growers’ families. For example, at the beginning of the 2005 school year we donated school supplies to growers’ children who otherwise would not have been able to attend classes, and we finance elementary school social activities on an ongoing basis to encourage attendance. This and other assistance is neither new nor is an attempt to jump on the currently fashionable bandwagon of social responsibility. On the contrary, it has been a hallmark of our way of doing business since 1985. Welcome to the portal page of our premium coffee brands, Cafe Copan and Cafe San Marcos. Our shade grown, single origin coffee is grown in a sustainable way, in order to protect our environment, community and people. It is our family promise. 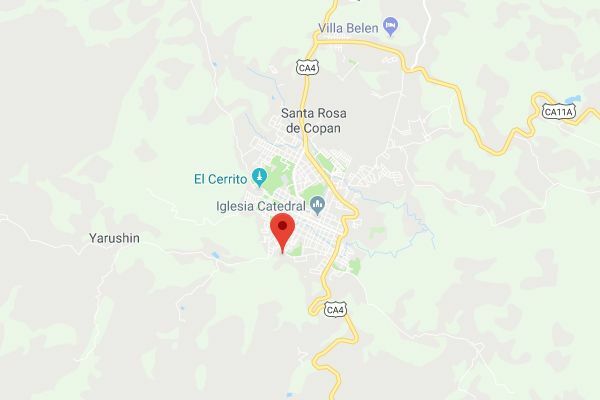 Colonia San Martín, Santa Rosa de Copan, Honduras.